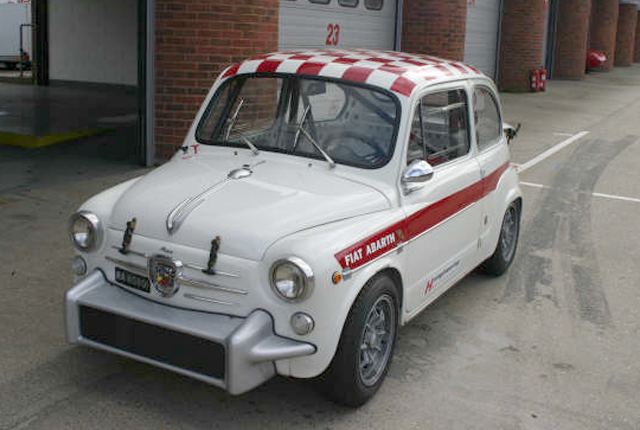 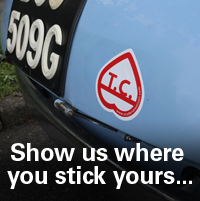 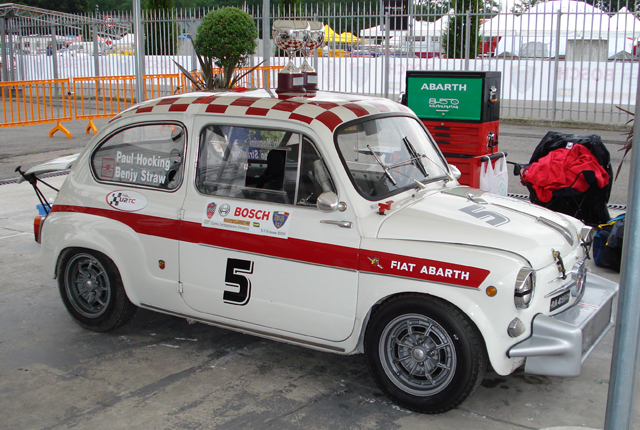 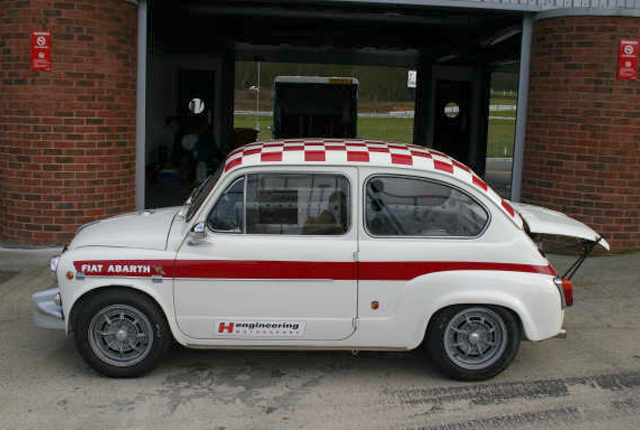 This is our 1964 Fiat Abarth 850TC Nurburgring “Giorgio”. 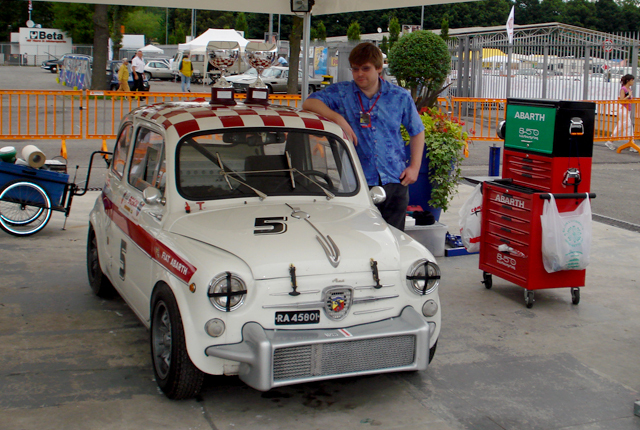 He’s raced in U2TC across Europe and has several Class wins to his credit, including 1st Class A at the Coppa Intereuropa meeting at Monza in 2008. 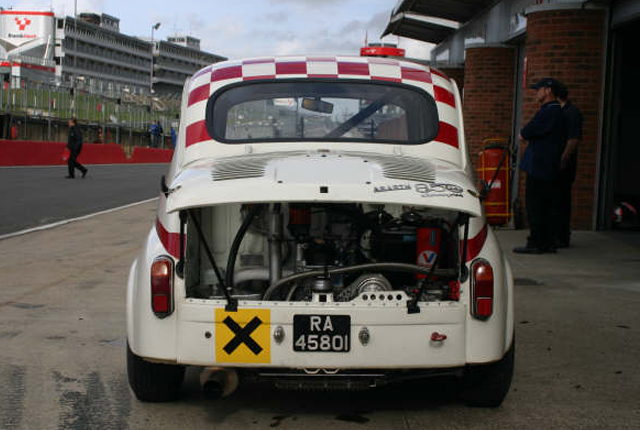 He races with a 982cc 1000TC Corsa specification engine, and has his orginal 850TC engine available in reserve. 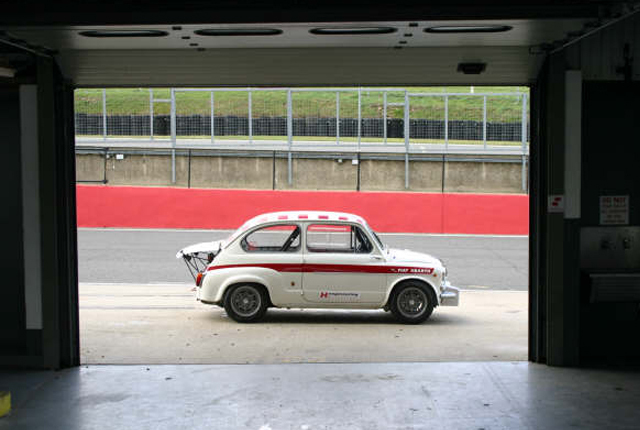 Giorgio is currently being rebuilt into a “Corsa lightweight” specification with the aim to get close to the homologated wieght of 583kg and we expect him to be back in action at the Spa 6 hour meeting in September.